2. On- and Off-Broadway Theater in New York! 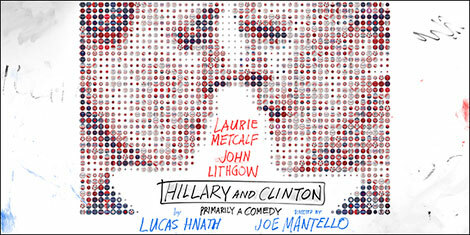 Two-time Tony Award, and three-time Emmy winner Laurie Metcalf, and two-time Tony Award and six-time Emmy winner John Lithgow return to Broadway to star in Hillary and Clinton, a new play by Tony nominee Lucas Hnath (A Doll’s House, Part 2). Behind closed doors in the state of New Hampshire during the early days of 2008, a former First Lady named Hillary is in a desperate bid to save her troubled campaign for President of the United States. Her husband, Bill, sees things one way; her campaign manager, Mark, sees things another. If any of this sounds familiar, don’t be fooled; in a universe of infinite possibilities, anything can happen. Hillary and Clinton examines the politics of marriage, gender roles, and the limitations of experience in this profound and timely look at an American dynasty in crisis. Directed by two-time Tony Award winner Joe Mantello.